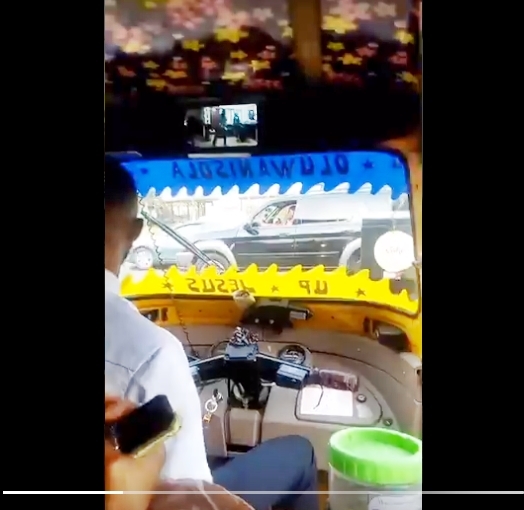 In a video which emerged online and is making the rounds on social media, a young man shared his experience after boarding an 'executive" Keke Napep in Lagos. A Twitter user identified as Adedeji Art (@adedejiart), has taken to the social networking platform to share his unique experience after boarding an 'executive' keke Napep in the Surulere area of Lagos. The young man revealed that he was surprised to see that the Keke Napep had a tablet which was serving as TV to entertain passengers. 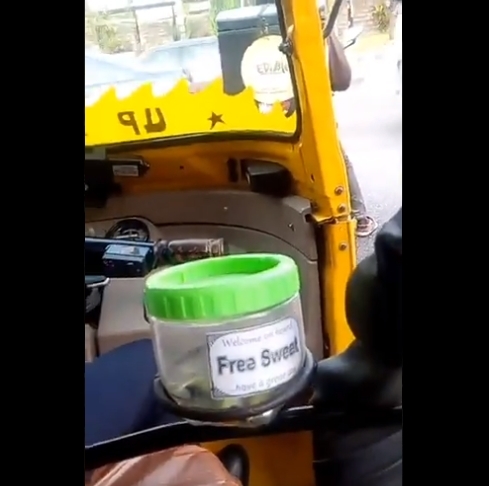 The tricycle driver also placed a jar of free sweets for the passengers in his keke. The special touches weren't added to the 'executive' keke alone but also extended to the driver's attire as he was corporately dressed from head to toe. 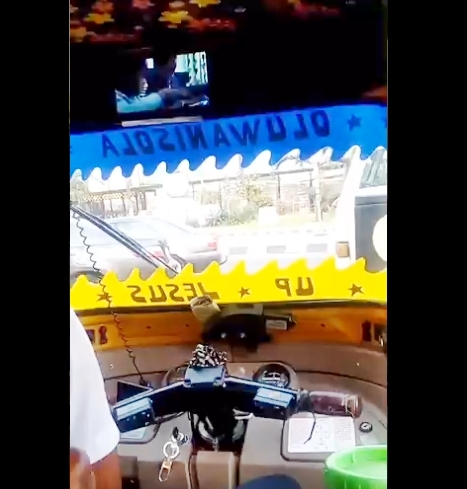 Adedejialert who shared the video, wrote: "This guy's Keke I just entered in Surulere now has a Tablet as TV and a container he keeps free sweets for passengers, And we're even jamming @burnaboy 's "Heaven Gate" video. "Packaging is packaging low budget or high." And we're even jamming @burnaboy 's "Heaven Gate" video.